My dining room needed some new life added to it, so I decided to update my curtains. Curtains can really make a difference in a room, and I had my eye set out to find the perfect ones. I also had a promise to my husband to keep on a budget. 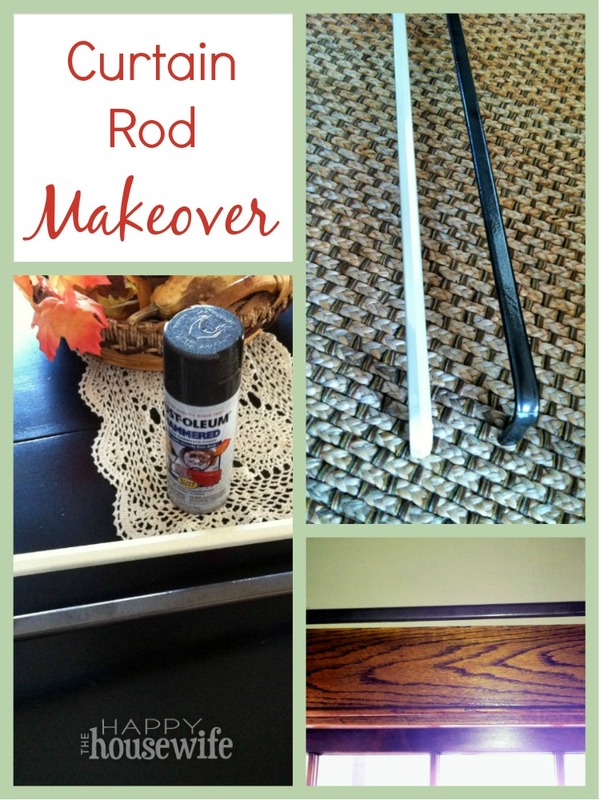 That’s what led to this super easy DIY curtain rod makeover. After searching high and low, I found my curtains, and it was love at first site. Now, of course, with these new curtains I had to get new curtain rods. It just wouldn’t be right not to! 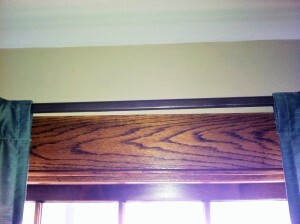 After shopping for curtain rods and pricing them, I began to realize I was walking a thin line with this budget thing. My curtains had a higher price tag than I thought, and I had to keep my promise of staying on a budget. What was I to do? I was too in love with my curtains to part ways with them. I had to get creative and think outside the box. While passing by those cheap white curtain rods, the light bulb went off. “What if I spray paint them to the color I want? 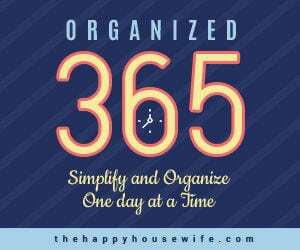 I might as well give it a try.” Well, I did, and you would never know after the curtains were hung. They really turned out great, and my dining room has that new life that it needed. Oh, and my husband was very happy that I stuck to my promise of keeping on a budget. It was a win-win! 1. 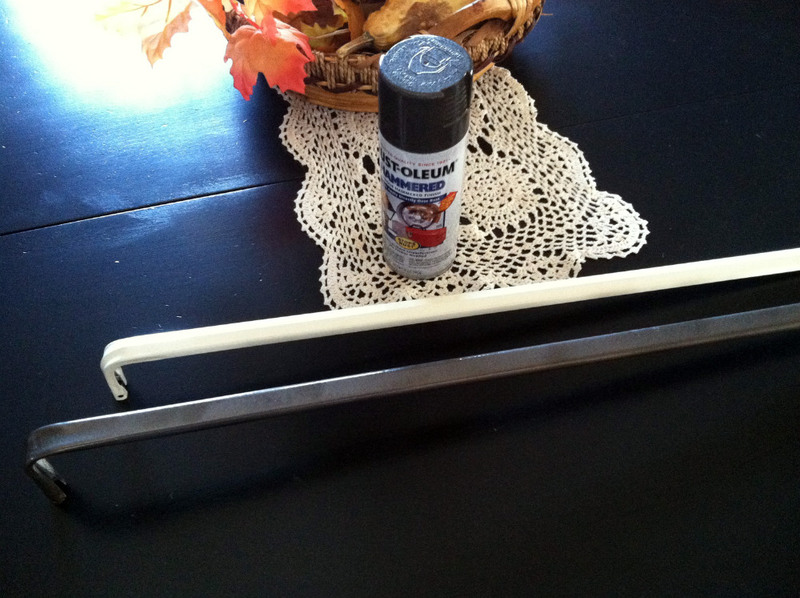 Using very fine sand paper, buff the curtain rod so the paint has something to adhere to. Wipe away the dust with a terry cloth. 2. Lay the rod on a piece of cardboard or newspaper. Slowly paint the rod moving the spray evenly over the rod to avoid dripping. You may have to let one side dry and then do the next to avoid smudging. 3. Repeat the last step until you have your desired color. You can also spray a coat of polyurethane for extra protection if you wish. That’s it! The beauty of this project is that you can use any color you want and almost any curtain rod. 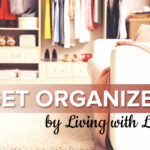 Hit up a thrift store or a garage sale. You might luck out and find some really nice ones that just need a little paint!